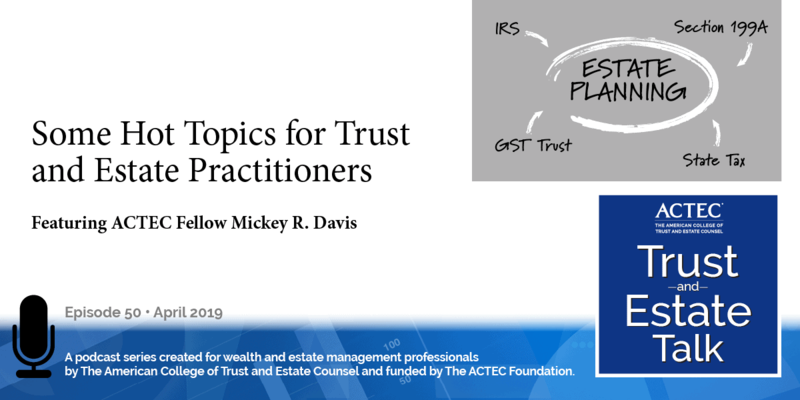 “Twenty Years of Domestic Asset Protection Trusts in the United States…” That’s the subject on this ACTEC Trust and Estate Podcast. This is Susan Snyder, ACTEC fellow from Chicago. We have arrived at the 20th anniversary of the first Asset Protection Trust Legislation enacted in the United States. 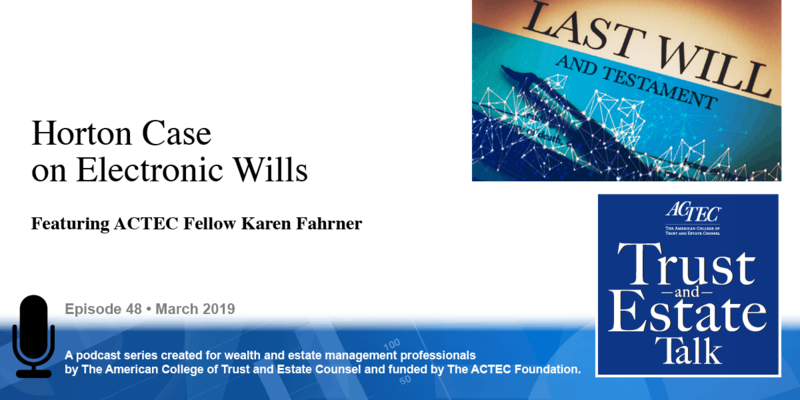 To speak more about this topic you will be hearing today from ACTEC Fellows Don Sparks of Wilmington, Delaware and Amy Kanyuk of Concord, New Hampshire. Welcome Amy and Don. This is Don Sparks and the topic, as Susan indicated, is “Twenty Years of Domestic Asset Protection Trusts,” and we started our more fulsome discussion this morning with Duncan Osborne providing historical perspective and overview, and outlining the ways in which the environment in the 1980s and the turmoil caused by first comprehensive environmental liability statute that essentially imposed no-fault environmental liability on land owners, as well as the Tax Reform Act of 1986 and the subsequent real estate recession, and Black Monday – which took place in October of 1987 – as well as the big judgments that were being achieved by the plaintiff’s bar in the United States, ultimately led to a search for solutions for people who were interested in asset protection. That started offshore with the Cook Islands in 1989 followed by over two dozen other jurisdictions worldwide that had some form of asset protection trust legislation by the early 1990s. That was then followed by the Domestic Asset Protection Trust legislation in 1997, which is the 20th anniversary we’re celebrating this year, with Alaska being the first state in the US to pass legislation, with 9 other states following shortly thereafter in the following decade. During that same time period in which the various states were adopting Asset Protection Trust legislation, the academics were pretty much uniform in their criticism of Asset Protection Trust planning, and they were aided in that criticism by Congress passing in 2005 the Bankruptcy Abuse Prevention and Consumer Protection Act, which imposed a limitation, a very long statute of limitations period in the bankruptcy context that was available to creditors, and that made it difficult for debtors who were in bankruptcy to actually protect their assets. However, more recently there has been another counter development with the adoption, the enactment of the Uniform Voidable Transactions Act, which is now part of the law in 15 states, with legislation pending in eight more, which attempts to expand the definition of insolvency and make other changes that are designed to make it more difficult, again, for debtors to protect their assets from the reach of creditors. And the real problem there has not so much to do with the law itself as with the official comments which make it very difficult to protect assets from unknown future creditors and in fact suggest that the law is, that there’s no longer a distinction between reasonably foreseeable creditors which debtors could protect against and unknown future creditors. So, the number of practical suggestions that that have come out of this development in the law include: making sure you select the appropriate jurisdiction for doing these types of trusts, considering carefully what other types of asset planning alternatives might be available. If they’re simpler and less costly, that’s the way to go. And to take into account the quality of fiduciaries in a particular jurisdiction, the fees that might be charged, where the client is domiciled, and what potential problems that might cause. And the conclusion really is that the law, a lot like other things is an organic animal; it develops and there are counter developments and we’re now in a period where we need to understand the most recent developments to see what’s likely to happen next in the area of debtor-creditor relations. This is Amy Kanyuk. Alaska was the first state to enact an APT Statute in 1997, followed shortly thereafter by Delaware. Now, 17 states allow the formation of an asset protection trust, which covers about 20% of the US population. The asset protection trust statutes can certainly be used by the residents of the states that have them. 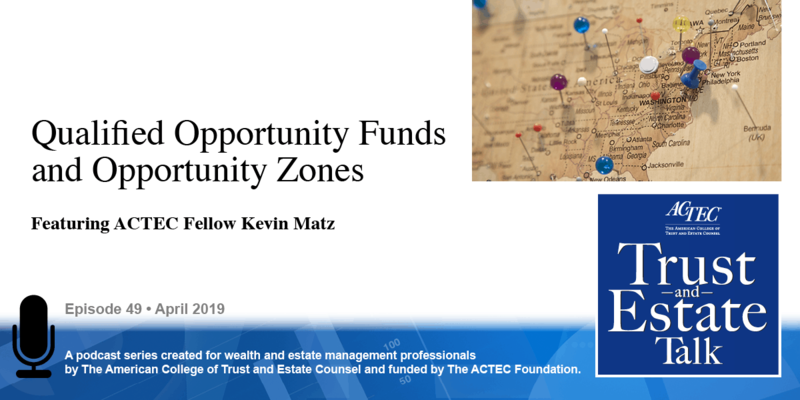 What’s unclear, however, is whether nonresidents of these states can form an APT under another state’s statute and obtain the desired asset and trust benefits. To determine whether a client can set up an Asset Protection Trust in another state you need to conduct a Conflicts of Law Analysis. And whether that is possible is going to depend on whether the state which the client lives has a strong public policy against APT protection. It’s also important to note the domestic APTs do not provide as much protection as foreign ones, because under the US Constitution, the courts of one state must recognize judgments rendered under the laws of other states. However, a Domestic Asset Protection Trust is going to be sufficient for the needs of most clients seeking asset protection. They need to keep in mind, however, that no state statute can protect debtors from conflicting federal law, in particular bankruptcy law. And so, bankruptcy law needs to be considered when the client is establishing a Domestic Asset Protection Trust. When the client is doing so, they need to consider what state’s statute to use. If the client lives in a state that has an Asset Protection Trust statute he should try to use his own statute unless the client needs a benefit only available in another state. If the client lives in a state that does not have an APT statute, the client will need to shop around and keep in mind the Conflict of Laws Analysis to determine what law apply if there is a creditor problem. The client also should be mindful of fraudulent transfer concerns, and these are acute, because all states with Asset Protection Trust statutes exclude fraudulent transfers from the benefit of the statute with the limitations period that limits how long a creditor can make a claim against a fraudulent transfer to an Asset Protection Trust and still reach the trust assets. In addition, every state, other than Nevada, has exception creditors, meaning that creditors can reach the assets of an Asset Protection Trust even if the transfer to the trust was not fraudulent, and there is no limitations period that applies to these exception creditors. The details and identity of the exception creditors differ by state, but the primary exception creditors are: child support, alimony and spousal support, and pre-existing tort creditors. After 20 years of Asset Protection Trusts, there are only a handful of relevant cases on them. None of the cases has resulted in a creditor obtaining a judgment or a settlement against the settlor when there was no bankruptcy or fraudulent conveyance and enabling the creditor to reach the trust assets. These cases are important to consider because they provide guidance on how courts interpret a particular state’s Asset Protection Trust statute, and they also illustrate implementation errors or provide a model to follow. 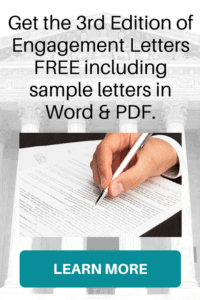 There are four primary cases, most decided within the past few years, and most dealing with both bankruptcy and fraudulent conveyance issues. Thanks Don, thanks Amy. We’ll bring you back in another 20 years to see how we’re doing.